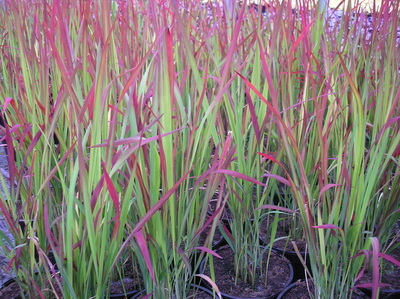 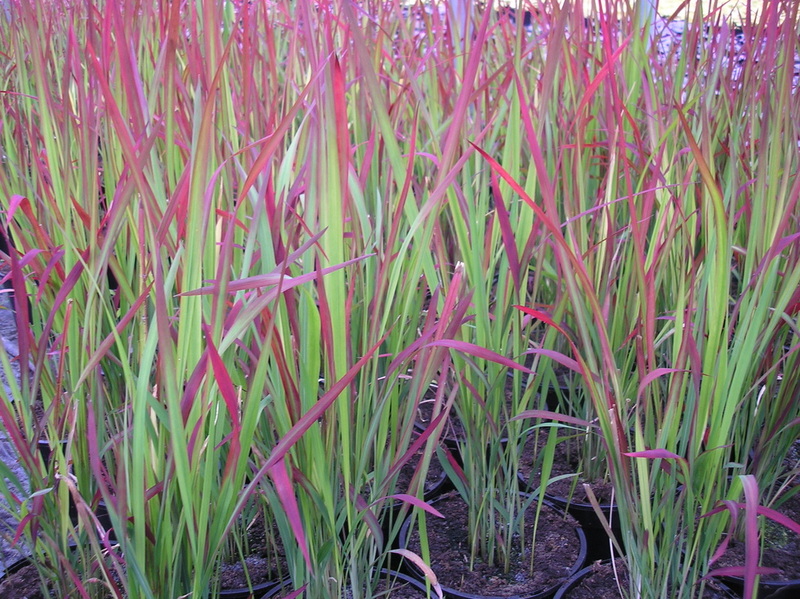 Our grasses are mainly produced in either one or two litre pots. 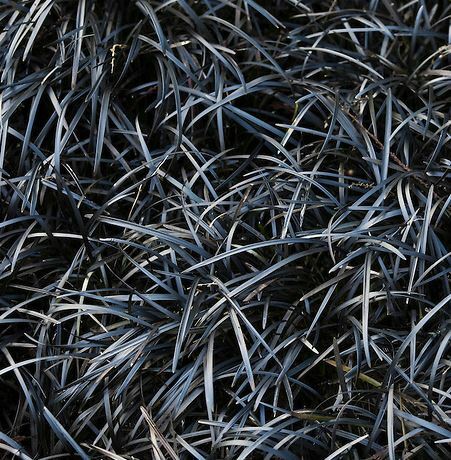 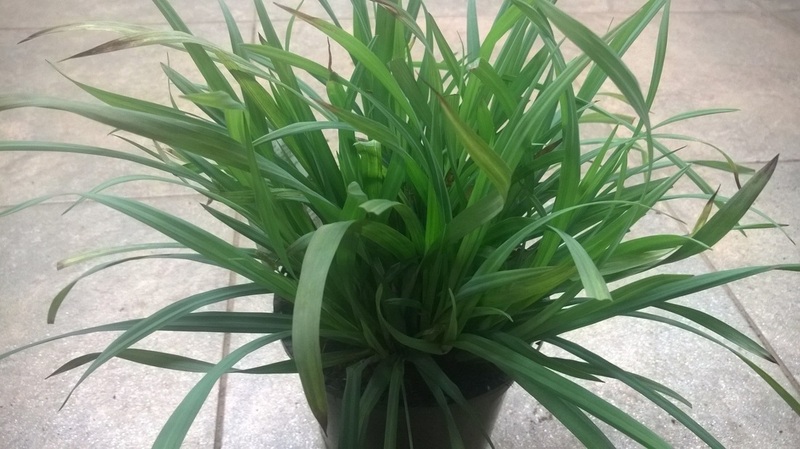 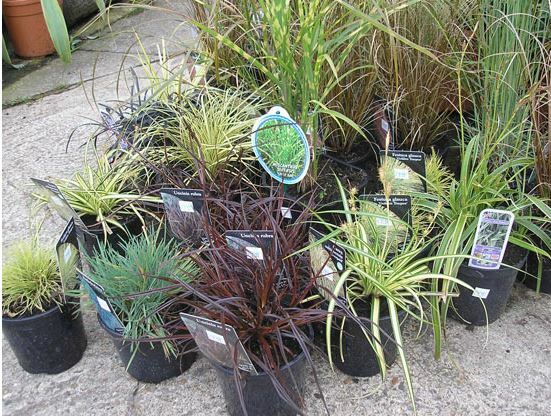 Availability is again varying upon season, although many are available all year around such as the very popular black grass (Ophiopogon planiscarpus nigrescens) available in pot sizes up to ten litre! 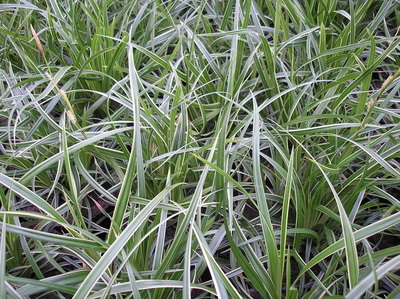 'Ice Dance' is a dense, spreading sedge grown for its white - edged foliage. 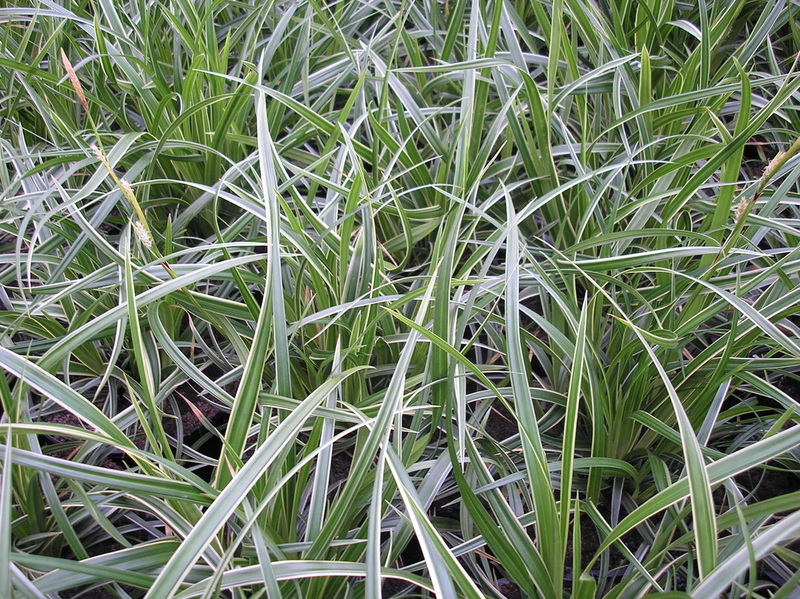 This sedge looks good year round, even in winter. The early spring flowers are insignificant. 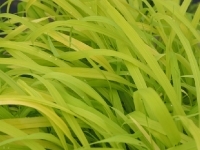 Likes Part shade and moist soil. 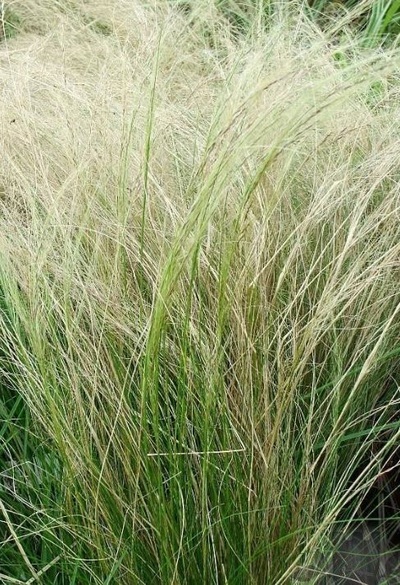 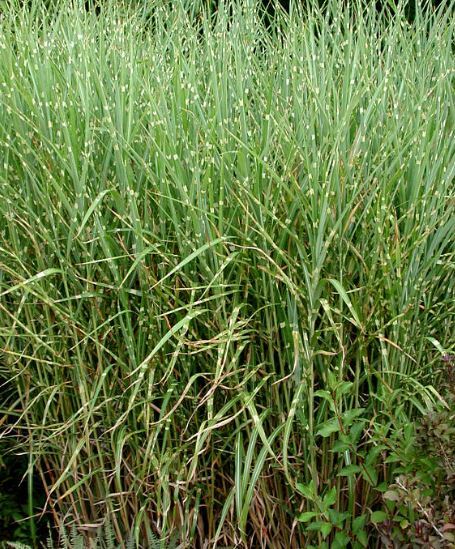 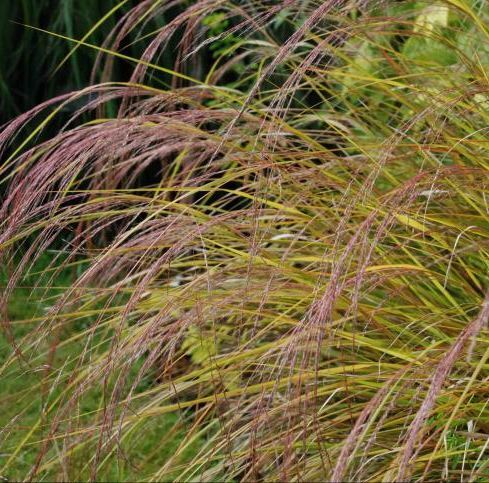 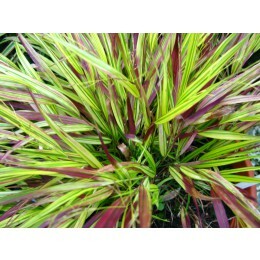 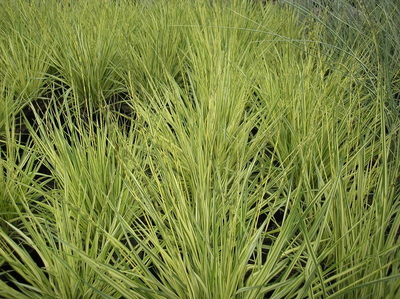 'Aureola' is a neat, clump-forming deciduous grass with narrow, arching, green-striped, bright yellow leaves, often reddish-tinged in autumn and early winter. 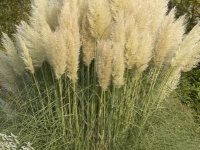 Flowers insignificant. 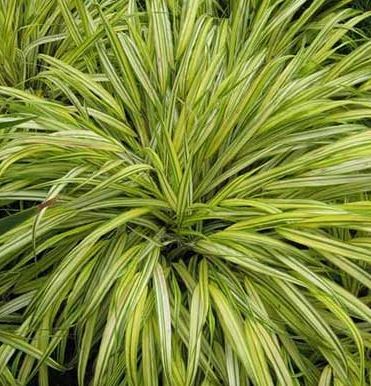 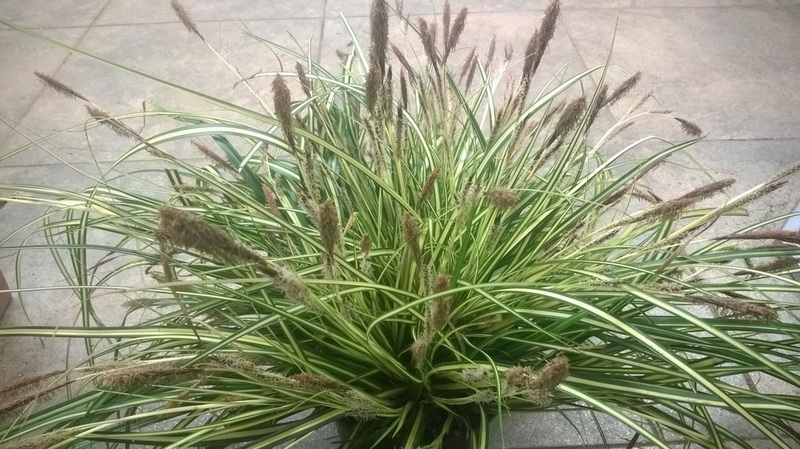 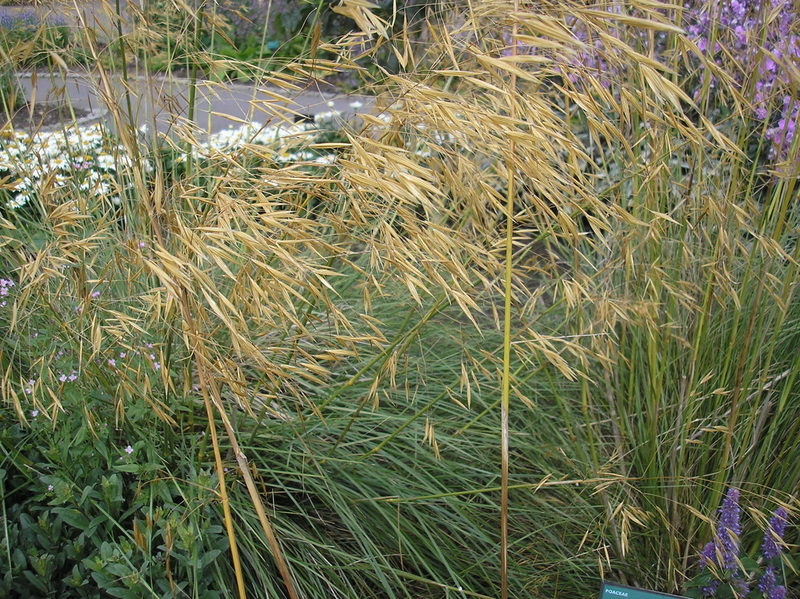 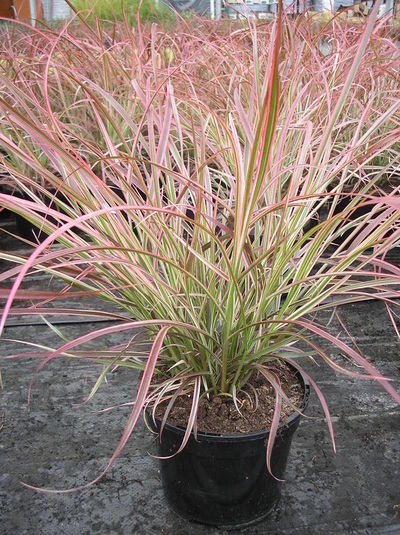 'Strictus' is a compact, clump-forming deciduous grass with erect, rather spiky foliage cross-banded with yellow, and crinkly silver flowering plumes to 2m tall in mid autumn. 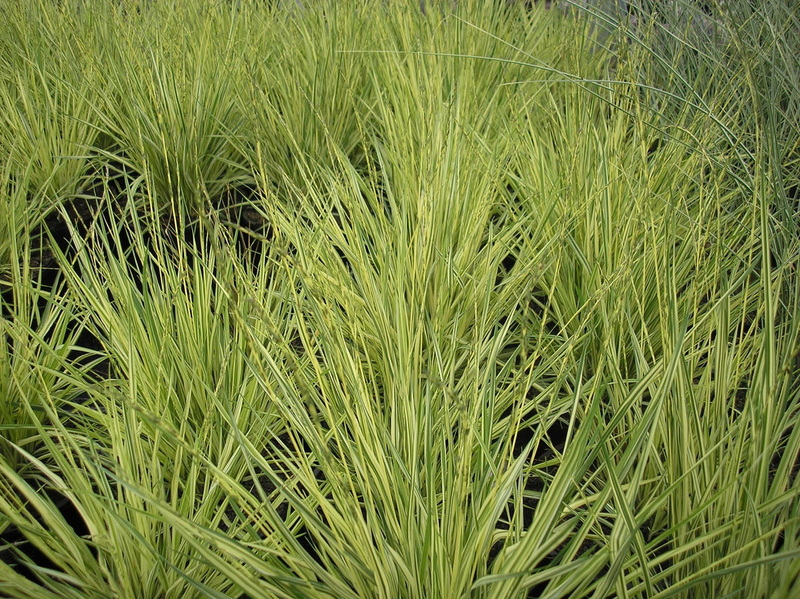 Full sun, moist, well - drained soil. S. gigantea is a robust tufted evergreen grass with arching linear green leaves and large panicles of oat-like, long-awned purplish flowers which ripen to gold. 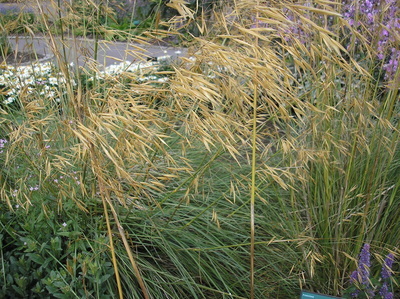 S. tenuissima is a deciduous grass forming a compact upright tuft of thread-like leaves, with narrow, arching, feathery flowering panicles in summer.